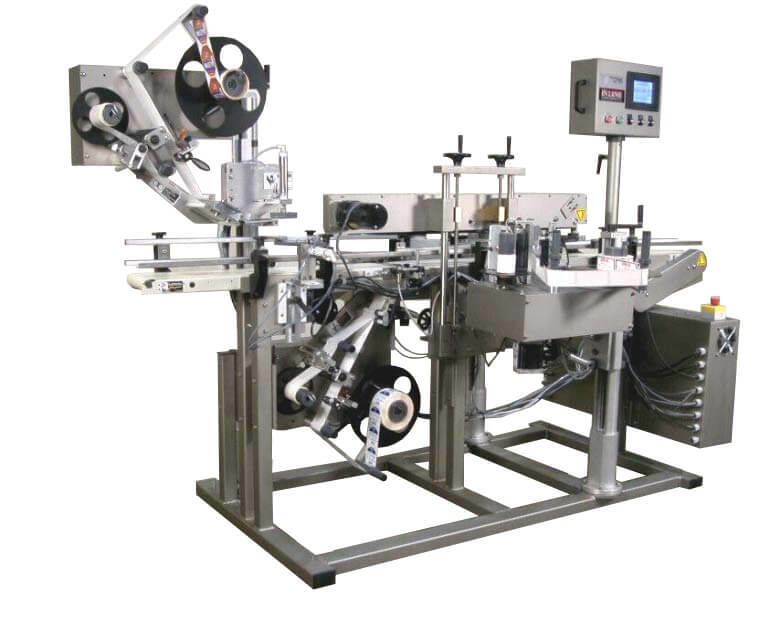 Rotary Product Table | InLine Packaging Systems, Inc. The Rotary Product Table is the perfect answer for both your product infeed and collection needs. It is constructed with the same stainless steel used in our line of labeling machines. The frame is finished with a durable stainless-steel coating. The Rotary Product Table is powered by a 1/8 hp variable speed DC motor. The separate on/off control button allows it to be completely independent from the other machines which makes it a very versatile addition to any product line. When we develop and assemble machines, we consider the entire system. Your production line needs to run smoothly from start to finish. 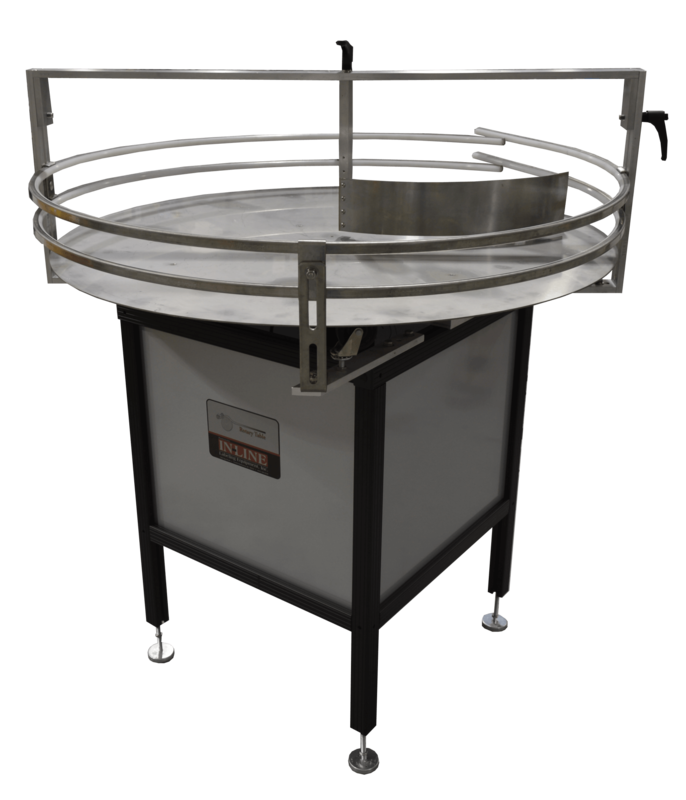 Our Rotary Product Table is perfect for your bottle infeed and collection, ensuring your entire bottling process will be done quickly and flawlessly. Since 1994, we have been assembling machines. Since then, we have designed and patented machines that run on efficiency and accuracy. We know the industry and we know the biggest challenges of the industry. That’s why we’ve spent the last 20 years developing solutions for beverage companies that save time and money. We also back up our products with a one-year warranty. And we provide support after the sale. When you choose In-Line, you partner with us for the long-term. We are here to troubleshoot and provide solutions for your bottling needs, long after the purchase is complete. We are passionate problem solvers. We enjoy taking on efficiency and process issues and creating systems that run seamlessly. Our labeling, filling, bottling, and packaging solutions will meet your needs. Give us a call today and we will get you set up with a custom solution for your business!